I've been making soaps for several years now, I'm thoroughly addicted. 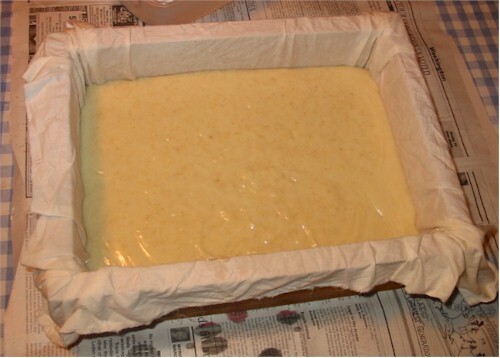 Below is my first experience making soap. Not much has changed, other than I now buy most of my supplies in bulk. 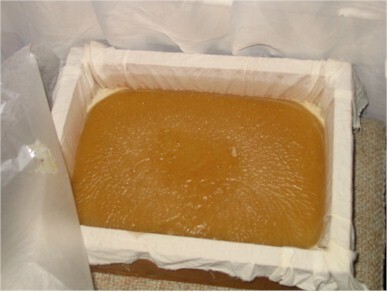 My Very First Attempt At Making Soap!!! PLEASE do not try to make soap based on my pictures and descriptions alone! Get a book, read up on what to do, and how to do it, and be careful! It is much easier then I ever thought, but not something you should be trying based on this quick synopsis of my experience! Keep in mind, I am complete new to this - this is my first attempt at soap! I can not recommend this book strongly enough - it is a delightful read even if you never make soap! Simple, uncomplicated, basic how to with recipes book. I must also thank Robin, of Thyme For Ewe Farm... Robin got me interested in, and answered 10,000 questions as I took on this new hobby! Thanks Robin! :-) To read Robin's basic soap instructions, go here. This one is a lot more in depth, and not nearly as easy to get started with... I would definitely recommend starting with the first book and adding this one to your collection to browse after you make your first batch. Coconut oil seems to be the hardest item to locate - and the most expensive. I found some at our local healthfood store - but they are tiny containers and very high priced. No one else around here can even order it for me - although it is certainly worth it to call around - try restaurant supply stores, movie theaters, and health food stores. I found lye in our local grocery store, in the cleaners aisle, by the drain cleaners - that is what it is primarily used for here. 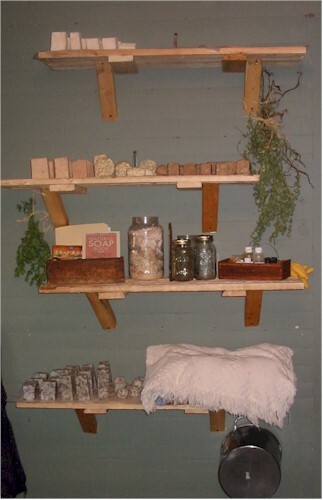 You can also find it at hardware supplies stores. Our wal-marts do not carry it. Again, I found the best prices online. I've been told that many farm supply stores carry it, but our local ones do not. It took me forever to build up the nerve to try this... I read tons of websites, articles, and the Soap Book by Sandy Maine I think I have memorized now. :-) I had to look for the supplies too - I have not yet found a local soap making supply store, coconut oil especially was hard to track down. The expense to get started was a lot higher then I anticipated - first the scales, then the oils, the thermometer, gloves, lye... all together were a bit costly. Well worth it though! I bought a Rubbermaid container for a second mold - my mom gave me an old wooden one that I like best though! 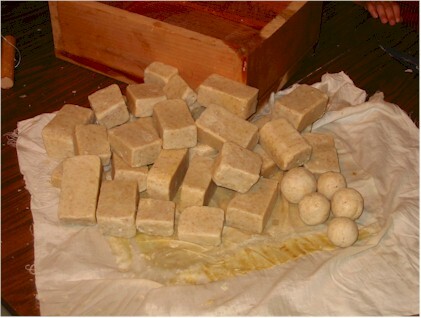 Finally, with everything assembled, and Dan home to keep and eye on the kids, I made soap!! 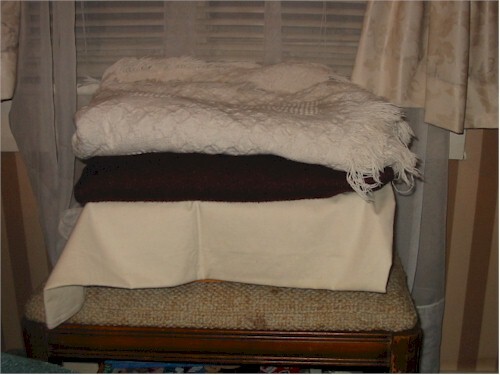 It was a nice fall day, so I set the lye up on the side porch table -I didn't mix it, just set the proper amounts out and ready. 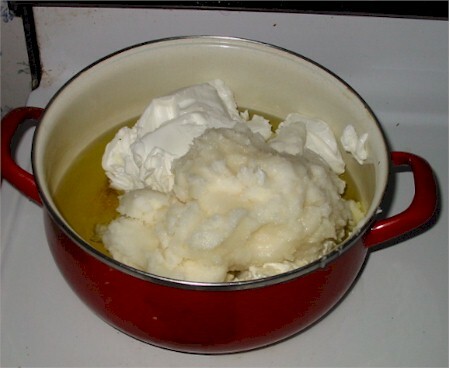 In this pan I have the olive oil, which I should not have - I took it back out and melted down the Crisco and coconut oils, THEN added the olive oil. I didn't turn the stove on yet - instead measured out the oatmeal, ran it through the blender, and made sure my thermometer and stick blender where ready to go, and my mold was ready. 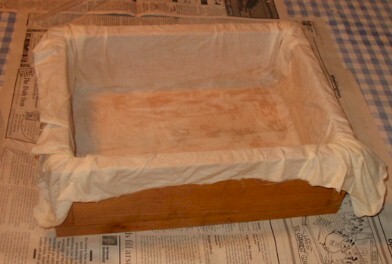 I soaked a piece of muslin in water, rung it out, and lined my wooden box with it. With everything ready, I went out and mixed the lye and water. 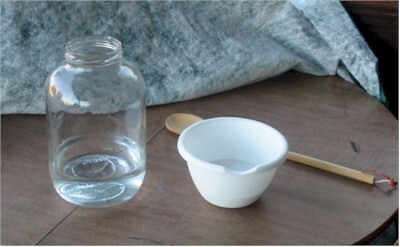 I used a gallon jar, the fumes were much less then I expected! But I was outside too. The water turned cloudy white, and got VERY hot - much hotter then I was expecting! I left the lye to cool, and started melting the oils... once they were melted, and olive oil added, I worked on getting both the oil and the lye to the right range of temperature - this part took me the longest. Once they were the righ temp, I mixed the lye into the oils, slowly, while stirring. Then I used my stick blender to mix until it was "trace" - this went much faster then I expected!! 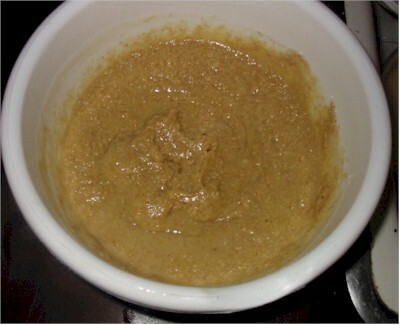 I took a little of this mixture, dumped it into a bowl with he blenderized oatmeal, and mixed it together. 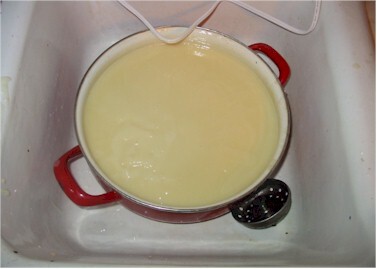 then I mixed the oatmeal mixture into the rest of the soap, and mixed it thoroughly, before pouring into my mold. I covered it with a sheet of wax paper, then layered with blankets, for the required 24 hours. I cut it into bars after 24 hours (picture at the top of the page) , and let it cure two weeks. I love the soap! It is more abrasive then I had expected, but a great soap!